In the Morlock tunnels, Dazzler and Exodus find the remains of Nanny. She’s supposed to guard Magneto’s son, but Charles is missing. Elsewhere in the sewers, Gambit and Lila Cheney run from Rictor. 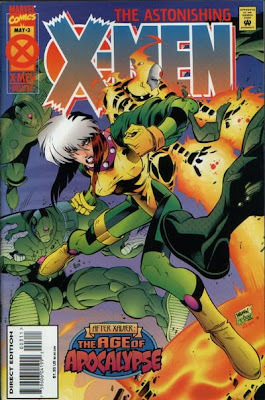 Lila teleported Rictor along with the X-Ternals back to Earth as the M’Kraan Crystal exploded, but Sunspot died while trying to absorb the Crystal’s energy. Unbeknownst to Rictor, Jubilee is carrying both Charles and a shard of the M’Kraan Crystal nearby. On Gambit’s orders, she’s trying to find the X-Men’s headquarters. She runs into Guido, who reveals that he was implanted with a bomb months ago by Apocalypse’s men. In exchange for turning in Gambit, he was told that the bomb wouldn’t go off and none of the other X-Ternals would be harmed. Knowing that Nanny would lead them back to the X-Men, he destroyed her. He takes Charles and the shard away from Jubilee and leaves to find Rictor. Soon, Gambit and Lila are confronted by Rictor and Guido. Rictor reneges on his word and creates an earthquake to kill Guido, along with Gambit and Lila. Guido uses his strength to hold up the main support column and urges Gambit to save Lila. Gambit has an opportunity to steal the baby and the shard back from Guido, but saves Lila instead. Later, Guido hands over Charles and the shard to Apocalypse in exchange for his and Lila’s safety. Rictor is killed by Apocalypse for his incompetence. A narrative caption reveals Exodus’ full name, “Paris Bennett”. 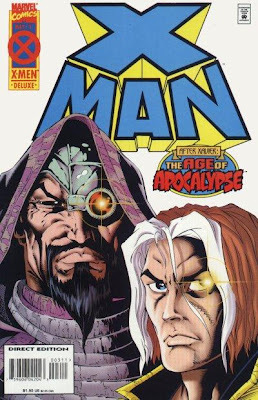 It’s revealed that Apocalypse has been secretly tracking the team through Guido, which would explain how the Madri found them in the first issue. For the final issue, Nicieza lays off on the action a little and focuses more on character moments. It does make the issue less tedious to read, although the story now jumps back and forth in time, which is just gimmicky and frustrating. Rictor is still chasing Gambit back on Earth, with the odd explanation that Lila brought him back from space with them. The X-characters in this reality have shown no aversion to killing their opponents, so it’s strange that she didn’t leave him behind in space (and Rictor’s dialogue specifically says she “saved” him, so it doesn’t seem as if he snuck along like in the first issue). Rictor’s arc is resolved in a somewhat predictable way, but Nicieza spends a lot of time building up the suspense so it doesn’t come across too flat. Revealing that Guido is a double agent is nice twist, which did receive a small amount of foreshadowing in the previous issues when it was established that he resented Gambit’s relationship with Lila. Gambit’s decision to save Lila over the Crystal and the baby is well done, and the scene does a good job of conveying his conflicting emotions over the choice. If the previous issues of this series focused more on characterization and less on frenzied action scenes, it probably would’ve worked a lot better. Overall, I think it turned out to be the weakest of the monthly titles during the AoA. Nightcrawler returns with the rest of X-Calibre to Destiny’s village, unaware that they’re being trailed by the Shadow King. He begins to possess the refugees in Destiny’s camp, turning the mutants against the humans and causing chaos. Damask uses her “psionic skinning” powers to attack the Shadow King, but ends up killing one of his host bodies instead. Shadow King possesses Mystique, causing her shapeshifting powers to go haywire as he tears through her memories. Nightcrawler formulates a plan to attack Shadow King in the dimension he inhabits while in-between bodies. He holds hands with Damask and Switchback and teleports. With the help of Switchback’s time-altering powers, Nightcrawler’s able to stay in the adjacent dimension he enters while teleporting for a longer period of time. While there, he confirms that Shadow King inhabits the same dimension, allowing Damask to psionically attack him while he’s distracted. A wounded Shadow King inhabits one last mutant and shoots an energy blast at Destiny. Her adopted son Doug Ramsey blocks the blast, which kills him. Inspired by his sacrifice, Destiny agrees to help stop Apocalypse. When Shadow King possesses Mystique, she begins to morph into different people from her past. She turns into Sabretooth, as the Shadow King comments that this memory is “worse than all the rest…” This, combined with last issue’s comment that Nightcrawler’s father had “fur in his genes”, makes me wonder if Marvel wanted Sabretooth to be his father at this point. Technically, Sabretooth is just hairy, not furry (the fur is supposed to be part of his costume), but it’s a vague enough reference to still work. On the page after Mystique is possessed by Shadow King, Nightcrawler’s dialogue has been totally re-lettered (in another example of hand lettering awkwardly being inserted in-between computer fonts). The altered dialogue details his plan to enter the adjacent dimension and attack Shadow King, which implies that someone changed this plot detail or didn’t like the way Ellis described the plan in his script. Since this is the next page after a possessed Mystique turns into Sabretooth, it’s possible that Nightcrawler might’ve inferred something about him that Marvel wanted changed, but that’s pure speculation on my part. It’s another action-heavy finale, which is able to work because Ellis also provides some strong character work throughout the issue. 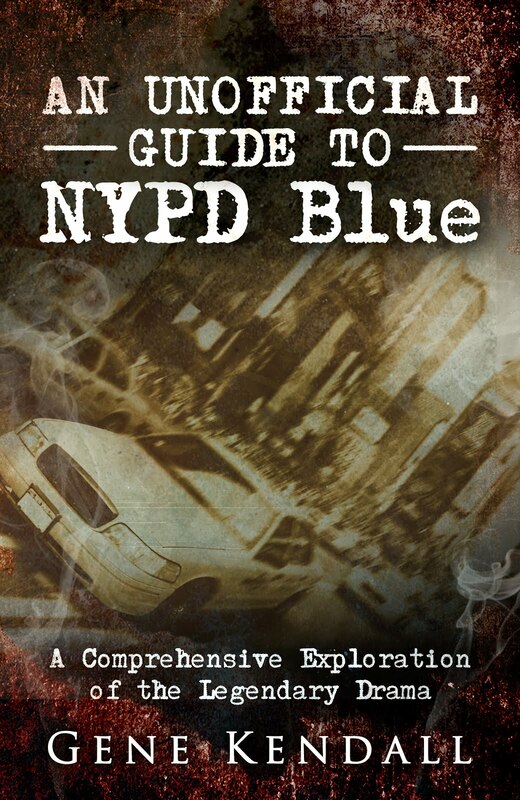 He doesn’t allow the characters to just easily go along with what the plot wants them to do; they have realistic doubts and insecurities that get in the way (Doug’s disbelief in alternate worlds is countered pragmatically by Switchback who points out that everything in this world is nuts). The story, oddly enough, seems to be making a statement against pacifism, as both Doug Ramsey and Destiny graphically learn about the dangers of “putting your head in the sand” and realize that fighting against Apocalypse is the only way to actually have peace. Superhero comics are inherently violent, but it’s rare to see a story that doesn’t tell you that putting down weapons is the ultimate solution. The Shadow King is a generically evil villain who can get old quickly, but Ellis is able to make his eerie narration interesting, and the chaos he creates at the camp brings a fair amount of excitement to the story. Lashley produces his strongest work yet, which is still very ‘90s but more attractive than his previous issues. On a few panels he skimps on the backgrounds, which unfortunately inspired someone to fill the white space with ugly, early ‘90s-style computer generated graphics that are supposed to look like trees. It dates the book pretty badly, which is unfortunate because this isn’t a bad issue at all. Illyana wakes up inside Mondo’s body and unknowingly pushes her hand outside of his chest. The guards notice and target him. Meanwhile, Sugar Man is still suspicious of Quietus, even though he shot Chamber. He shoots his sharp tongue into Quietus’ stomach, exposing him as Husk and Vincente in disguise. Chamber reveals that he used his psionic powers to make Sugar Man think he was shot, as Colossus and Shadowcat make a dramatic entrance. After Chamber blasts Sugar Man’s body apart, Colossus orders Skin and Chamber to find Illyana and Mondo in the lower levels. Nearby, Mondo kills the guards and pledges to rescue a human girl who asks for help. As soon as Skin and Chamber find Mondo, Sugar Man kills him with his tongue and kidnaps Illyana. Colossus crashes through the ceiling and kills Sugar Man. With Sugar Man dead, the Core erupts into a violent war between the human workers and mutant guards. As members of the team die, Colossus orders Shadowcat to use her powers to help him escape with Illyana. After helping them escape, Shadowcat attempts to go back to rescue the others, but Colossus orders her to get Illyana to safety while he goes back. Colossus reaches the Core’s entrance as the door closes, catching a final look at Husk as she’s overpowered by mutant guards. Distraught, he leaves and reunites with Shadowcat and Illyana. Unbeknownst to him, the Sugar Man has followed him. Well, things certainly happen in this issue. Lobdell takes advantage of the finite lifespan of the AoA world by ripping through the cast in a way he could’ve never done in the “real” universe. Having naive Illyana narrate this issue helps to underscore the tragic nature of the story. Juxtaposing her blind faith in her brother with his actions during the final scene creates an extraordinarily dark ending, one that honestly shocked me when I was young. Bachalo’s art helps to convey the story’s bleak mood, but the visual storytelling begins to fall apart here. There are a few scenes where it’s essentially impossible to figure out what’s supposed to be happening. Mondo’s death scene is staged in such a way it’s extremely difficult to understand what exactly the Sugar Man is doing. It looks like the page is missing some necessary panels, as Mondo falls down and Sugar Man just emerges from rubble holding Illyana. Chamber and Skin’s death scenes are also confusing, as they apparently just disappear between panels. There’s also panel here with the little girl that has a giant “YANK” sound effect that’s indecipherable (is the “YANK” supposed to be Chamber yanked away to an off-screen death?). Sugar Man is also portrayed inconsistently, alternating in size between a giant monster and a tiny Muppet. This might be connected somehow to his unexplained resurrections (does he make tiny Sugar Men or something? ), but it’s not clarified at all in the issue. Even though the story does have a respectable dramatic impact, there are elements here that don’t make a lot of sense either. Husk and Vincente, in disguise as Quietus, seem to think that only “shooting” Chamber should convince Sugar Man that they’re on his side. This ignores the fact that Sugar Man wanted both Chamber and Skin dead last issue. Apparently, Sugar Man has forgotten all about Skin in-between issues, even though he’s standing right in front of him here. Since it turns out that the gunshot was a mental illusion created by Chamber, he could’ve just as easily created the same illusion for Skin too, so it’s not as if this was a hard spot to write out of. The explanation that Chamber used his psionic powers to trick everyone also reminds me of how poorly defined most of the cast’s powers are. Since Chamber can communicate telepathically, can he also read minds? Can he use the psionic energy that ripped through his chest for things like telekinesis? It’s strange that basic questions about the characters’ powers were skirted over for so long. 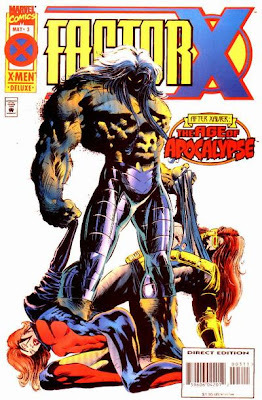 The mechanics of the ending, where Colossus accompanies Shadowcat and Illyana out of the Core and then goes back, don’t really stand up to scrutiny. Since Shadowcat can phase through objects, I don’t see why she would’ve needed Colossus to go with her. If the idea is that he refuses to leave Shadowcat and Illyana, that’s contradicted a few pages later when he leaves them to go back for the others. So why did he go off with them in the first place? These nonsensical elements don’t really undermine the story’s impact, but they start to add up once you start to closely examine the details of the plot. The Human High Council shows Gateway holograms of Apocalypse’s genocide in America. He’s unmoved, until Weapon X forces him to watch the murder of a young girl by one of the Infinite soldiers. He shoves a recreation of the girl’s diary in Gateway’s face, telling him to guide the fleet against Apocalypse for her sake. Gateway finally relents and agrees to pilot the nuclear strike against America. Soon, Weapon X is on board with the members of the Council as the armada heads towards America. Emma Frost makes a cold comment to Weapon X about Jean Grey warning the enemy of the attack, and he responds by reminding her of what he’s sacrificing. Gateway heads to the prow to intuitively navigate the airship during a lightning storm, when Donald Pierce arrives with a new cyborg. Weapon X recognizes the cyborg as Carol Danvers, who was infected by Pierce’s techno-organic virus after a grenade nearly killed her. Against her wishes, she fights Weapon X and damages his right arm. Below, Pierce awakens the sleeper agent Brian Braddock, but Braddock is able to fight against Apocalypse’s neural implant. Pierce responds by killing him. He then heads back to the top and kills Carol Danvers for begging Weapon X to stop her. 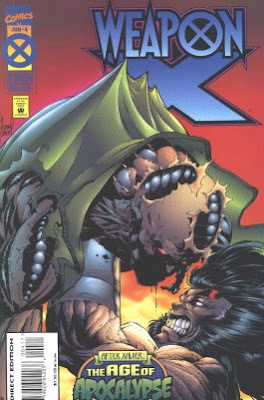 When Pierce tries to kill Gateway, Weapon X unsheathes the claws in his left forearm and guts him. With the armada now under attack from Apocalypse’s ships, Gateway creates a giant teleportation portal for the entire fleet to escape through. A young girl is shot by one of Apocalypse’s men in the opening scene. After she’s killed, there’s a close-up of her dead face with blood splattered all over it. Gateway’s new personality is at least somewhat explained when Weapon X says that he was taken out of the Outback by “socio-anthropologists from Berkeley”. Weapon X concludes a solid run with a strong issue. The opening scene with the girl’s death could’ve come across as tasteless or just gratuitous, but the conversation between Gateway and Weapon X is able to justify its inclusion. Hama’s reinvention of Gateway actually makes him more than just a plot device or a mystery figure, giving him a real personality (and an odd speech pattern that might wear on your nerves, but I actually enjoy). There’s also a great conversation scene between Weapon X and Emma Frost, where he discusses the necessity of hardening your heart towards terrible acts during a war, and his sympathy for Jean for not being able to do that. The fact that he knows that he’s helping to drop the bombs on top of her could’ve been played for some overwrought angsting, but Hama finds a nice balance. The scenes with Brian Braddock and Carol Danvers at the end feel rushed (and I can’t tell if having both characters fight for their humanity is an intentional parallel with the inhuman act the Council is being forced to commit), but Kubert does a skilled job with all of the action that surrounds them. The Hama/Kubert Wolverine run was able to combine a sympathetic portrayal of the lead character with a lot of action during its best issues, and the AoA run is a nice example of what they’re capable of doing. Blink confronts Holocaust, and manages to use her teleporting powers to drop him into a boiling vat of genetic stew. 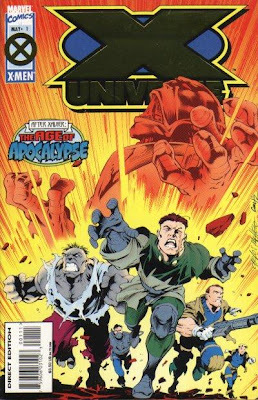 Nearby, Rogue’s team of X-Men fights the army of Infinite soldiers. The team splits up, leaving Sunfire and Wild Child to rescue the humans inside the plant. Morph meets up with Blink, who tells him that Sabretooth is dead. Holocaust suddenly emerges from the vat and resumes their fight. Morph reveals himself to actually be Rogue, who absorbed his shapeshifting powers a few minutes earlier. Taking Holocaust by surprise, she uses her magnetic powers to reverse the electromagnetic flow inside his brain. The real Morph joins the fight, along with Sunfire and Wild Child. Rogue is gravely injured in the battle, but Morph uses his powers to impersonate her son, inspiring her to fight. 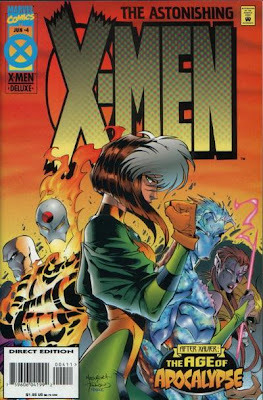 After pushing Holocaust back into a teleportation platform, Rogue is prepared to follow him to Apocalypse, but Iceman arrives with Sabretooth to stop her. Rogue declares that the Age of Apocalypse will end tonight. The last page has an obviously tacked on exchange between Blink and Sabretooth, which has Sabretooth tell Blink that he’s hard to kill. I guess the editors wanted the readers to know that they didn’t forget about Blink’s numerous references to his death earlier in this issue. The “X-Facts” hype page mentions the hostile initial reaction to this storyline that emerged when the cancellation of the X-titles was announced. “You sent your opinions spinning through the techno-void of cyberspace and posted them proudly on the bulletin boards of the information superhighway.” I think this is the first reference to internet fan reaction in one of the books (although the letters pages still haven’t started listing email addresses yet). This is the big fight issue, which is appropriate since it’s the series’ final installment that's supposed to lead the characters directly into X-Men Omega. As an issue-long fight scene, it starts to feel flaccid after a while, but the opening few pages are fairly exciting. Once you get to page sixteen and everyone is still fighting Holocaust, it can’t help but to be tedious at that point. Madureira’s art really helps to sell the action in the opening scenes, but it starts to look sketchier and rushed as the issue goes on. His exaggerated manga influence also gets dialed up in this issue (especially with his interpretation of Rogue), which starts to push things a little too far away from what normally works in superhero comics. Going for an all-action issue to close things out is an understandable move, but it comes at the cost of developing the character dynamics hinted at in the first issue. The only cast member who completes a character arc is Sunfire, who comes to the sudden realization that he was the sole survivor of Japan because he’s destined to save humanity from Apocalypse. The scene doesn’t really work, unless we’re supposed to believe that Sunfire wouldn’t have done anything against Apocalypse unless he was personally affected by his actions, an idea that hadn’t been mentioned earlier. It’s also a very rushed one-page scene that almost reads like it was done as an afterthought. There’s some decent material that comes from Blink’s mourning for Sabretooth, but it’s undermined by his sudden resurrection at the end. This is also the third issue in a row where Sabretooth is believed dead but turns out to be alive, which I always thought was absurdly redundant. The Shadow King tells Apocalypse that X-Man escaped from Domino, which angers him but also forces him to realize that X-Man might be considered strong enough to survive. Elsewhere, X-Man fights against Sinister to avenge Forge’s murder. Sinister explains to X-Man that he created him in a lab and artificially aged him in order to use him as a weapon against Apocalypse. When Cyclops freed him, Sinister was forced to allow it because he didn’t want Apocalypse to know about Cyclops’ treason, or to learn about X-Man’s existence. Sinister tries to convince X-Man to fulfill his destiny and kill Apocalypse. 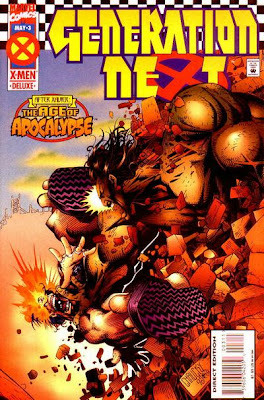 They continue to fight, but X-Man eventually decides to leave and find Apocalypse before Apocalypse finds him. A dying Sinister is shocked to realize that the fight has apparently finished him. X-Man mentally connects with Magneto again and learns that he’s being tortured by Apocalypse. He travels to New York and comes across the culling of the prisoners in Sinister’s pens. 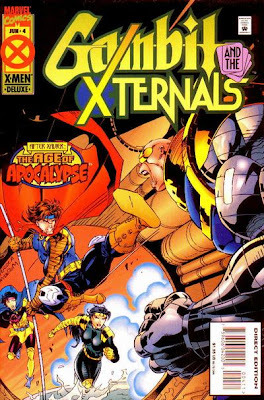 He briefly encounters Cyclops and Jean Grey, and decides to face his destiny and fight Apocalypse. X-Man doesn’t remember Sinister’s lab, or the night Cyclops helped him escape. He says that he was “taken from the pens” and tortured, but he escaped. Sinister implies that this isn’t true. Why exactly X-Man has fragmented memories isn’t explained. Since Sinister created him as a secret weapon, it doesn’t make sense that he would’ve allowed him to be placed with the rest of McCoy’s test subjects, so his memory of living in the pens is extremely suspect. Then again, it also seems unlikely that Cyclops could’ve broken into Sinister’s secret lab and released his creation. It’s possible that X-Man escaped from the lab and came across Cyclops, who helped him escape, but it’s not clear at all. Sinister says he waited for “centuries” for the right mix of DNA to create X-Man (Cyclops’ and Jean Grey’s, of course). I’m not sure if the X-office had an origin for Sinister worked out yet, but implying that he’s been around for centuries doesn’t quite match up with the later revelation that he’s a 19th century geneticist. His earlier appearances implied that he was a time traveler, which this might be a reference to. This issue does resolve the two major storylines of this series, as Nate finally fights against Sinister and learns the truth about his origin, albeit in a disappointing manner. The majority of the issue is taken up by X-Man’s fight with Sinister, which is drawn enthusiastically by Skroce, but it feels like it drags on for too long. The revelation of X-Man’s origin is delivered rather casually over the course of just two pages, and it doesn’t really answer all of the questions it raises. X-Man’s first meeting with his parents also feels lifeless, as if Loeb is just getting it out of the way before Nate is in place to fight Apocalypse in X-Men Omega. Nate also continues to come across as bratty and infantile, which doesn’t exactly make him very endearing. The final page announces that the title will continue after X-Men Omega alongside the Cable series, which kills any drama over whether or not he’s actually going to survive the AoA. The idea that anything might happen to X-Man is one of the unique aspects of this series, but I guess even that couldn’t last. The Starjammers take the X-Ternals to the Shi’ar planet where the M’Kraan Crystal is being harvested for power. Deathbird teleports with the X-Ternals to the planet’s surface, where they face an army of Shi’ar soldiers. 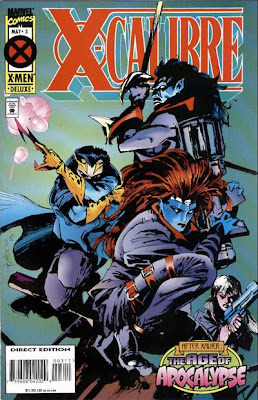 Gambit, Lila Cheney, and Deathbird race to find the M’Kraan Crystal while the others distract the guards. Gambit is shocked to learn that the Crystal is three stories tall, but Deathbird tells him that he only needs to steal a shard of it for their plan to work. Suddenly, an arm from inside the Crystal grabs Lila and pulls her inside. Gambit and Deathbird follow her inside the Crystal and meet Jahf. Jahf explains that he is the guardian of the M’Kraan Crystal, which is now fracturing and causing reality to blink out of existence. According to Jahf, it was never repaired in this reality because Jean Grey never became Phoenix. He tells Gambit that the collapse of the original reality is causing every reality to be affected, which will soon result in the end of everything. Stealing a shard of the Crystal and stopping the death of Professor Xavier will stop reality from blinking out of existence. However, Gambit must sacrifice a part of himself to gain a shard of the Crystal. Outside, the X-Ternals are confronted by Gladiator and Rictor. In the course of the battle, Sunspot begins to turn white after absorbing the Crystal’s energy. He’s afraid that he won’t be able to absorb more of the Crystal’s energy, so they follow Gambit inside it. Gambit offers the only thing he says he has to offer, and breaks his staff against the neutron sun in the heart of the Crystal. The M’Kraan Cystal explodes, as the neutron sun escapes from the Shi’ar device that was draining its energies. Sunspot begins to burn up after absorbing so much energy, while Lila Cheney vows to return everyone home. Since Jahf lives inside the M’Kraan Crystal, which is the “nexus point between all matter and all anti-matter”, he remembers the original reality. The M’Kraan Crystal was damaged and causing reality to blink out of existence back in Uncanny X-Men #108, before Jean Grey used the Phoenix Force to fix it. According to Jahf, Bishop is a “chronal anomaly” who was present when the different realities diverged, causing him to remember the way things are supposed to be. Even though it’s not outright stated, I have to assume that Rictor and Gladiator are the two lifeforms who escaped from the crystallized planet in the last issue. Several pages in this issue are done in Comicraft’s computer font, even though the rest of the comic is hand lettered by Chris Eliopoulos. The pages that have been re-lettered mostly involve Jahf’s explanation of how reality fractured, and how Gambit can fix it. The climax of the story, when Gambit hits his staff against the neutron heart and the Crystal explodes, is also re-lettered. I enjoyed this issue more than the previous two, even if the series does still have a slightly chaotic feel to it. 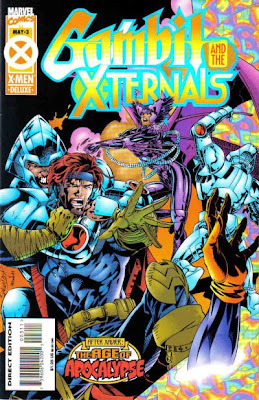 Salvador Larroca replaces Tony Daniel with this issue, which I believe makes Gambit and the X-Ternals the only AoA book that didn’t finish with its initial creative team. Larroca’s art looks stiff and awkward in a lot of places, with a lot of stereotypical early ‘90s stylized characters, but he does lay out a more attractive page than Daniel did in the last two issues. Even though there was obviously some last minute tinkering going on, I liked the way Jahf’s explanation of the M’Kraan Crystal’s fracturing and the creation of the AoA is presented in a clear, straightforward manner. Not dropping a thousand vague hints and actually presenting the information in a clear-cut way is a nice change of pace for the titles at this time. Unfortunately, it leads directly into the nonsensical ending that has Gambit hitting his staff against the M’Kraan Crystal as some sort of exchange for a shard. I guess that’s what he’s doing, since the story and art aren’t very clear on this. The way the story presents this as some dramatic sacrifice for Gambit is also odd. Gambit says that he’s doing this Rogue, which doesn’t help to clear things up (Please don’t tell me he’s somehow symbolically sacrificing his love for Rogue to the Crystal in this scene. That would be too trite for words). Since these pages have been re-lettered, it’s likely that Nicieza intended something else that never made it into the final version, but it’s hard to guess what he was going for. What exactly Magneto wants with the M’Kraan crystal in the first place is never revealed either, although I guess this is an intentional mystery that’s supposed to be resolved at the end of the storyline. Jean Grey sneaks into the Pens in New York, hoping to evacuate the prisoners before the Council’s nuclear strike. She’s soon captured by Havok. Meanwhile, inside Angel’s nightclub, Scarlet is arrested by the Bedlam Brothers for secretly working as a spy for the Human High Council. They warn Angel that his claims of neutrality are suspect now that both Karma and Scarlet have been arrested. In the Pens, Havok reveals to Cyclops that he’s captured Jean Grey. He tells Cyclops that he knows that he’s responsible for the recent series of breakouts, and wants him to kill Jean in order to prove his loyalty. When Cyclops refuses, he’s attacked from behind by the Guthrie siblings. McCoy takes his unconscious body away for genetic experimentation. Jean manages to remove her power inhibitor and free Cyclops. They escape from McCoy and leave to liberate the Pens. Elsewhere, Rex informs Apocalypse that Havok has replaced Cyclops as commander of the Pens. Apocalypse tells him to inform Havok that the Pens only existed to placate Sinister. He’s shutting them down and culling all of the prisoners. Three years ago, Jean Grey was kidnapped by Apocalypse’s forces. She was well treated as an “Alpha Elite” due to Sinister’s interest in her DNA, yet she still resisted. Jean’s resistance inspired Cyclops to question Apocalypse’s rule for the first time. He was prepared to help her escape, when Weapon X returned to free her. Through some confusion, a fight ensued with cost Cyclops his eye and Weapon X his hand. Jean is attacked in the Pens by a wolf that appears to have a buried human consciousness. This is presumably the AoA version of Wolfsbane. Weapon X is referred to as “Wolverine” in Jean’s flashback, which of course isn’t his name in this reality. It’s surprising that none of the other writers made that mistake sooner, actually. Some of the subplots begin to be pay off with this issue, as Havok finally moves against Cyclops and Scarlet is exposed. Jean Grey is introduced to the story in a slightly contrived manner, but her presence does at least advance the ongoing plotline with Cyclops and Havok. I like the idea that Jean is Cyclops’ inspiration to turn against Apocalypse in this world, but the way Cyclops suddenly falls in love with her feels forced. This is the most action-heavy issue of the series so far, and while Epting does a capable job on the fight scenes, you do get the feeling that this is a much lighter read than the previous issues. It doesn’t feel like the story’s stalling, but it seems like it’s more predictable than the previous chapters. The fight scenes aren’t bad, but I miss the scheming and maneuvering of the earlier issues. Outside of Xavier’s estate, Magneto and Bishop are attacked by Vanisher and an army of Infinite soldiers. 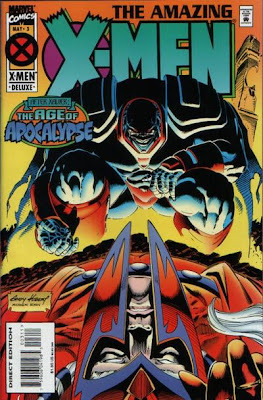 After fighting them off, Apocalypse appears. Magneto reconfigures Bishop’s plasma-rifle so that its blast will be strong enough to kill both him and Apocalypse. Apocalypse tells him that if he dies, he won’t be able to save his son Charles. Apocalypse boasts that Vanisher is currently kidnapping him in the secret tunnels beneath the grounds. Magneto drops the weapon, and is knocked unconscious by Apocalypse. Underneath the mansion, Vanisher confronts the robotic Nanny, who is keeping Charles safe inside her body. She draws her various weapons against him. Later, Quicksilver’s team of X-Men return home and find that Bishop and Magneto are gone. Iceman discovers Vanisher’s body underneath the mansion, and the team discerns that Nanny had to be his killer. Exodus and Dazzler search for Charles, while Quicksilver sends Iceman to tell Rogue that Magneto is missing. Soon, inside Angel’s nightclub, Quicksilver learns that Apocalypse is keeping Magneto captive in his Manhattan fortress, while Bishop is being interrogated by the Madri priests in Quebec. Quicksilver must choose between saving his father and Bishop, the man who might be the key to a better world. In Quebec, the Shadow King tries to mentally interrogate Bishop, but Bishop forces him out of his mind. Abyss arrives, promising to finish the job. Quicksilver returns to the mansion, and makes the decision that the X-Men must leave his father behind and go to Quebec to rescue Bishop. According to Apocalypse, Magneto once forced his Celestial ship to crash into Earth. Their subsequent fight nearly killed Magneto, costing him the use of half of his powers. I haven’t been under the impression that Magneto’s been depowered in this reality, although he hasn’t had a lot of fight scenes yet. 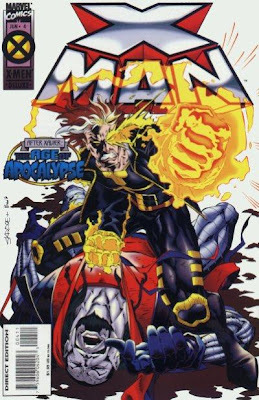 I assume that explicitly cutting his powers in half was an attempt to justify why the super-powerful Magneto of the “Fatal Attractions” crossover hadn’t stopped Apocalypse yet. This is an improvement over the previous issue, which was a disappointing action-heavy issue that didn’t exactly move things along. This issue opens with a rather large fight scene, but Nicieza’s still able to structure the story so that the events of the overall plotline aren’t stalling. The characters also feel more real here, as Angel is finally given a scene that shows that this version of the character at least has some depth. Quicksilver’s choice between saving Bishop or Magneto is also handled well, depicting Quicksilver’s anguish over the decision without giving in to too much melodrama. The story takes advantage of the volatile nature of the AoA reality by putting Magneto and his infant son in a situation that they might not survive, and by saddling Quicksilver with a dilemma without an easy solution. In the mainstream reality, it would be hard to actually sell the same drama with major characters (or babies), since most of the audience knows that they won’t die. And any time a hero is faced with a tough decision, he almost always ignores his own feelings and makes the most reasonable choice. Since this reality was coming to an end and most of the characters weren’t going to be needed soon, there’s really no sense of stability, making the story more effective. The darker portrayal of the X-Men also casts doubt on what Quicksilver might decide, giving his final decision to sacrifice his father more impact than it might’ve had in the mainstream reality. Of course, devoting so many issues to an extended “What If?” runs the risk of alienating the readers who view the whole thing as pointless, but I think the characterizations are strong enough here to make it work. Callisto’s body lies in the water, as Mystique and Nightcrawler reunite. She takes Nightcrawler to Cold Grey, her Antarctic base near Avalon. Nightcrawler confronts Mystique about stealing from the refugees, claiming that her shame is the reason why she never enters Avalon herself. He convinces her to go into Avalon with him to find Destiny. They’re escorted into Avalon by the monk Cain, and soon meet Destiny and her adopted son, Doug Ramsey. Destiny doesn’t want to leave Avalon, because she thinks that her absence might instigate the destruction she foresaw earlier. Damask and Dead Man Wade enter Avalon, although Damask is reluctant to go through with Apocalypse’s order to destroy the sanctuary when she sees how beautiful it is. Wade presses the assault and attacks Destiny’s tent. When Nightcrawler tries to talk Cain into fighting back, he has an apparent aneurysm after trying to restrain his inherent lust for violence. Damask turns against Wade, and Nightcrawler uses his teleportation powers to decapitate him. Now joined by Damask and the refugee Switchback, Mystique and Nightcrawler prepare to take Destiny back to America. Dead Man Wade is now able to speak for some reason. He still doesn’t have Deadpool’s personality, and seems to have the mind of a child. Mystique tells Nightcrawler that his father carried “fur in his genes”. He responds, “And what a father you found”. I don’t know if there were any concrete plans to reveal Nightcrawler’s father at this time, or if this was just supposed to be a joke. Chuck Austen later revealed that his father was the Devil or something back in an Uncanny X-Men storyline that’s become a shorthand reference for bad comics. This is probably the best issue of the series so far, as the plot picks up and some of the emotional arcs are paid off. Cain, the pacifist inversion of Juggernaut, could’ve simply been another gimmicky reinvention of an established character, but he’s played for more than just shock value here. His recounting of the hundreds of deaths he’s caused and his “psychopathic need” for peace and redemption are handled extremely well. I also like Nightcrawler’s confrontation with Mystique, which helps to round out her character without alleviating her of her crimes. Damask’s conversion against Apocalypse is a little forced, but Ellis at least tries to make it work. Destiny, who’s essentially been a plot device so far, is given enough of a personality to make her reluctance to leave Avalon seem credible. I’m not sure how exactly her psychometric powers are supposed to validate Bishop’s claims (unless her powers in this reality would enable her to see not just his future, but his past in the original timeline), but I guess that’s material for a future story. In Wakanda, Gwen Stacy cares for the human refugees while waiting for more supplies to arrive. The village is suddenly attacked by the Marauders, a human terrorist group made up of Harry Osborn, Wilson Fisk, Arcade, and the Owl. Stacy kills Fisk, and Arcade is crushed by the heavy supplies dropped by Tony Stark’s spider-shaped aircraft. The aircraft’s pilot, Clint Barton, shoots down the remaining Marauders. Tony Stark tells Gwen Stacy and the humanitarian doctor Donald Blake that they’re needed in England. In London, Apocalypse’s fourth Horseman, Mikhail, arrives on an alleged peace initiative. Human pilots Susan Storm and Ben Grimm are reluctantly escorting his ship when their Field Command Center suddenly explodes on the ground. They land and investigate, and find the Hulk inside. Sue Storm shoots his ear off, forcing him to retreat. They search the wreckage and soon find Dr. Bruce Banner. He refuses medical attention for his head wound because the group is already late for Mikhail’s welcoming ceremony. Mikhail speaks in front of friendly audience, inviting members of the Human High Council to enter his ship. Victor von Doom, Tony Stark, Gwen Stacy, Donald Blake, Ben Grimm, and Sue Storm walk into Mikhail’s ship, and discover that he’s keeping the mutant Empath captive. Mikhail boasts about his plan to use Empath’s power to create an emotional frenzy that will rip London apart. This series is in the “Marvel Select” format, with a cardboard cover and foil enhancement. There’s no Code seal on this issue. Arcade does have a bloody death, and there’s a lot of blood when the Hulk’s ear is shot off, but I don’t know if that was enough to cost it Code approval. It might have been a simple mistake. According to a text piece in the back, Black Panther, Peter Parker, Frank Castle, Reed Richards, Johnny Storm, and Namor are all dead in this reality. A blind Matt Murdock is shown as Mikhail’s assistant, and Mikhail seems to have given him a “second sight”. Mikhail is referred to as the “Fourth Horseman”, even though Abyss has already been labeled the latest Horseman. Why wouldn’t he be considered the fourth? This issue supposedly takes place after Weapon X #3, where the Human High Council’s navigation systems were “sabotaged from within”. That never happened in Weapon X #3, but it might be a reference to Pierce’s attack in Weapon X #2, which destroyed their nuclear guidance system. Also, Ben Grimm claims that the explosion in their Field Command Center killed any pilots capable of carrying out the nuclear attack. I’m not sure how this can be reconciled with Weapon X #3, which has Weapon X searching out Gateway to pilot the nuclear strike. So is this supposed to take place before Weapon X #3 instead? London is apparently “war-torn” which doesn’t seem to fit in with the established continuity. Apparently, it was the “very first cut of a bloody swath” that ran throughout Europe. London never appeared to be in great shape, but I was under the impression that humans were still relatively safe there (as it’s the home of the Human High Council, and Americans were being transported to England in Amazing X-Men and Weapon X). Pacheco draws Big Ben as rubble on the ground, which directly contradicts all of the previous stories that have it still standing and serving as the Council’s headquarters. This is a miniseries focusing on the non-mutant Marvel superheroes in the AoA. It’s not a bad premise, but telling this story in a separate miniseries seems excessive to me. This could’ve easily taken the place of the mediocre prequel stories in X-Men Chronicles. The series was edited by Marie Javins, who wasn’t one of the regular X-editors during this era. I don’t know if that explains the shaky continuity or not, but this just doesn’t feel as if it really fits in with the rest of the AoA titles. Terry Kavanagh wasn’t a regular X-writer either, so it’s possible that he wasn’t in on all of the behind the scenes planning, either. Carlos Pacheco debuts on the X-titles with this mini (EDIT - at least from my perspective, since I didn't buy the Bishop mini). He sticks around until the late ‘90s after stints on Excalibur and X-Men. 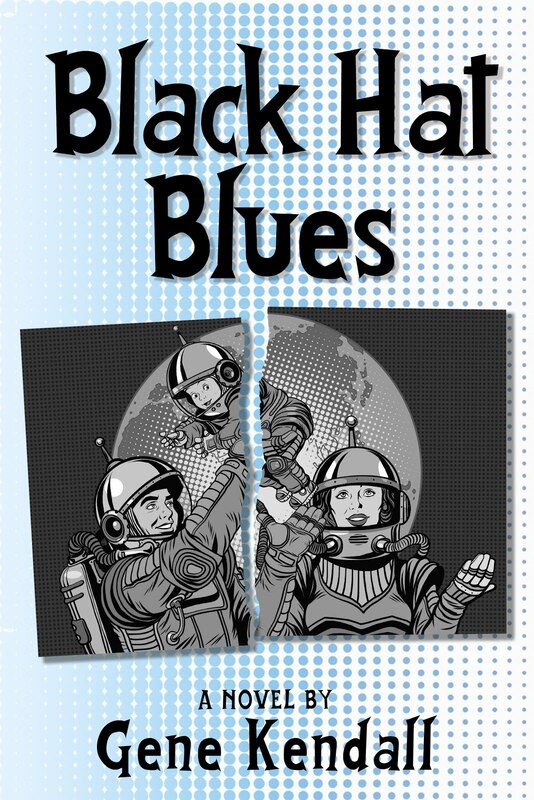 The premise of this limited series is already gimmicky, but the story really pushes it to the limit. Out of all of the human characters that could’ve taken a stand against Apocalypse, Gwen Stacy gets chosen to be the hard-as-nails freedom fighter? It’s very fannish, and it stretches believability pretty far. I can buy that many of the Avengers would still end up as heroes in this reality, but the idea that Spider-Man’s dead girlfriend is popping caps on the bad guys with them is just silly. There are quite a few more cutesy moments, such as Ben Grimm calling the Hulk “a thing”, Clint Barton being nicknamed “Hawkeye” due to his piloting skills, and Donald Blake being referred to as a “god” because of his abilities as a doctor. There’s also the massive coincidence that Matt Murdock would receive powers similar to the ones he has as Daredevil from Mikhail, plus Bruce Banner accidentally becomes the Hulk in this reality due to Gamma experiments here, too. I guess you have to accept all of these things as a part of the premise, but it was too much for me even as a young teenager. Overlooking the fanboy-ish elements of the series, this issue isn’t all bad. Kavanagh’s scripting is competent, and the action moves at a steady pace. The story itself is unobjectionable, although it starts to unravel once Mikhail lands in London. The fact that the humans there would gleefully welcome Mikhail and even chant his name, just because he’s on a “peace” mission, is absurd. There’s just no way any humans could believe Apocalypse wants peace at this point. This stretches disbelief way too far (although I guess it's possible that Empath is manipulating them, even though Mikhail doesn't appear to have any motivation to force him into doing that). The scene with Ben and Sue flying over the explosion at the Field Command Center is also pretty awkward, and rereading it doesn’t make it much clearer. Pacheco’s art is strong for most of the issue, even if his panel-to-panel continuity is spotty in a few places. I do think his art is strong enough to cover for some of the more mundane elements of the story, though. If you’re willing to overlook the massive coincidences and suspend disbelief for a few minutes, it’s entertaining enough as a straightforward action story. 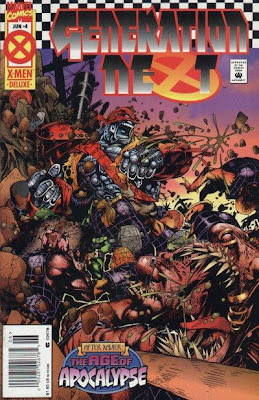 Weapon X travels to Wundagore Mountain and is confronted by two of Apocalypse’s cybernetically-enhanced soldiers, Mangle and Dead-Eye. He defeats the cyborgs and walks through the X-Men’s former headquarters. He comes across Carol Danvers, an agent of the Human Defense League who’s assigned to protect Gateway. They climb to the top of his tower to find Gateway listening to various media transmissions while in an apparent catatonic state. Weapon X rips apart his television screens, which snaps Gateway out of his condition. They touch hands, which briefly fills Weapon X’s mind with the information Gateway’s been absorbing. Gateway ascertains that Weapon X has been sent by the Human High Council to ask him to pilot the nuclear strike against Apocalypse. He refuses to do it, as the combined bodies of Mangle and Dead-Eye return to kill Weapon X. They’re easily defeated, but a revived Donald Pierce suddenly returns in a dive-bomber with another cyborg, Vultura. Gateway teleports the trio inside Pierce’s plane, where Vultura is dispatched by Weapon X. Carol Danvers knocks Pierce out of the plane, and both of them are apparently killed in midair when her grenade goes off. Gateway tells Weapon X that he’s now willing to hear what the Council has to say. The title of this issue comes from a line in the Emily Dickinson poem “A Toad Can Die of Light”. Hama must’ve been in a lyrical mood, since one of the broadcast transmissions Gateway is listening to also quotes a poem by William Butler Yeats. There’s not a lot of plot here (it seems like a lot of the AoA titles aren’t advancing the storyline very far with their third issues), but this still manages to be an entertaining read. Kubert’s art brings a lot of excitement to the action pages, and Hama’s still able to use the first-person narrative captions for some nice character moments. Wolverine’s reflections on his time with the X-Men and the experiments performed on him in the Weapon X project are well done (although it leaves you to wonder why he calls himself “Weapon X” in this reality if he resents the project for doing such horrible things to him). Carol Danvers isn’t given a lot to do, but her characterization still makes an impression during her scenes. Reinventing Gateway as a chain-smoking, loquacious hippie is amusing, although it requires you to already be familiar with the character to really get the joke. 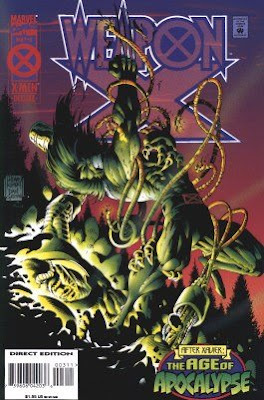 I was thrilled to see Gateway when I first read this issue, since some of the earliest Uncanny X-Men comics I read where during the Australian era, and it seemed to me like that period had already been forgotten (I was also hoping he would become a regular in Generation X, but it never happened). He’s really just one of dozens of obscure characters brought back for the AoA event, which seemed to continue the “let’s bring everybody back” trend that started to go through the books around the time of the Phalanx crossover. The AoA might’ve been the climax of this trend, because I don’t remember a lot of the lesser-known characters being used once it was over. It seems like the books instead focused on creating a lot of new characters that lasted about as long as the Upstarts (remember Havok’s Brotherhood team?). As Skin and Chamber continue to search the Seattle Core for Illyana, they witness one mutant guard ruthlessly kill a man and his daughter. Mondo emerges from the building and drops the guard to his death as retribution. Meanwhile, Husk and Vincente continue to masquerade as Quietus inside his personal office. They’re still unable to find any information on Illyana. Sugar Man enters, telling “Quietus” that Shadow King noticed someone psioincally searching Apocalypse’s files earlier. He wants Quietus to investigate. After he leaves, a frightened Husk seduces Vincente. At the main entrance to the Core, Colossus and Shadowcat wait for a signal from the others. Inside the Core, Mondo saves a young girl who was shoved off a ledge by a guard. When he brings her back to the top, he discovers Illyana nearby. Colossus gets word from Know-It-All that Mondo has rescued Illyana, and rushes inside to save her before Mondo’s power accidentally absorbs her completely. Simultaneously, Skin and Chamber are reunited with Husk and Vincente, who are still disguised as Quietus. Sugar Man enters, and demands that Quietus kill Skin and Chamber. "Quietus" draws his gun and shoots. This is another issue that mainly relies on Bachalo’s art to work. He certainly designs enough odd-looking freaks and monsters here. The multi-headed dog-type monster with facial piercings that shows up on the second page has got to be the weirdest looking thing in any mainstream comic from this era. The story consists of more scenes of the heroes wandering around the Core, with a couple of character moments thrown in. Since the previous issue already hammered home how horrible conditions in the Core are, I’m not really thrilled about reading another issue filled with depictions of nasty mutants killing innocent people. The interaction between Skin and Chamber is nicely done, capturing the anger and the helplessness anyone would feel after seeing innocent people casually murdered, but it doesn’t justify another issue dedicated to showing off how terrible the Core is. The seduction scene between Husk and Vincente feels strained, and it only seems to exist to emphasize how different this Husk is from her uptight counterpart in the original reality. And since Husk and Vincente were already (needlessly) searching through paperwork to find Illyana in the last issue, it feels like the plot’s really beginning to stall. Bachalo’s art does carry a lot of this, but the more you think about it, the more you realize that hardly anything’s happening. Forge escapes from Domino, Grizzly, and Caliban and finds his allies, Mastermind and Toad, nearby. He sends a mental message to Nate Grey to stay away from the fight, which only encourages Nate to run towards it. During the fight, Mastermind, Caliban, Toad, and Grizzly are killed. Nate finally stops Domino by mentally forcing her to reflect on every death she’s caused. When he reunites with Forge, Nate tells him that he doesn’t like what his power does to him, and asks for more training before he faces Apocalypse. As Forge prepares to bury the bodies, he discovers Brute’s corpse in their barn. Essex tries to blame Domino, but Forge doesn’t believe him. Nate feels psychic pain through his link with Forge, and runs to the barn to discover that he’s near death. Forge tells Nate to seek out Magneto, as his memories flood Nate’s mind. When Forge dies, Nate explodes in anger, destroying the barn. Essex appears and Nate attacks him. His façade burns away, revealing Essex to be Mr. Sinister. According to Forge’s final flashback, he once worked with Magneto and had a relationship with Storm. Sonique calls “Soaron” by his original name “Sauron”, which shows that not even the creative team cared enough about the ridiculous altered spelling of his name to be consistent with it. When Domino fights Mastermind, she has an added thought balloon that emphasizes that he’s creating illusions. 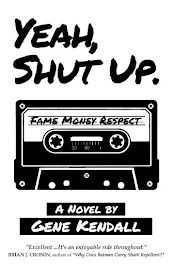 It’s another one of the hand-lettered edits that sticks out amongst the computer fonts. Loeb seems to have decided to cram every issue of X-Man with a lot of action, which suits Skroce’s artwork and helps to distract from the dullness of the lead character. The big fight scene between Domino and Forge’s factions has its moments, taking advantage of the new reality’s brief future by killing off a lot of characters that won’t be needed anymore. Nate’s final moment with Forge works well, and it’s as close as the series comes to making their relationship feel genuine. There’s some slightly pretentious narration about the nature of evil throughout the issue, but it’s not as overblown or ridiculous as you might expect. I can’t say any issue of this series so far has been truly bad, but I still don’t understand what Marvel saw in this title that made them want to turn it into a regular series. I know that the comic book industry was starting to enter its slump during this time, but were they really so desperate for another X-title? In Chicago, Apocalypse’s Infinite soldiers chase down Wild Child. Morph, disguised as Holocaust, distracts them while Sunfire approaches from behind and kills them. Rogue and Blink teleport by their side when they see the lights Sunfire's power created. Wild Child touches Rogue’s face so that she can absorb the information he learned about the Infinite processing plant in Indianapolis. Meanwhile, Sabretooth regains consciousness while he’s in Holocaust’s custody. Sabretooth taunts him, which leads to another beating. Blink flashes back to her first meeting with Sabretooth, as Sunfire carries the team to Indianapolis. They soon sneak into the Infinite processing plant, but Blink is distracted from the mission when she sees Sabretooth chained up outside. Meanwhile in New York, Magneto questions if Bishop has the willpower to kill Legion in order to prevent this reality from happening. The robotic Nanny’s alarm sounds, warning of Apocalypse’s arrival. Sabretooth rescues Blink from a burning building with Weapon X’s help in a flashback scene. No specifics are given on where and when this happened. Apparently, Wild Child physically ran from Indianapolis to Chicago in-between issues, even though hardly any time seems to have passed. And when the team goes to Indianapolis, Sunfire carries them on a plank instead of just having Blink teleport them (which is how Sabretooth and Wild Child got there last issue). I guess this is the awkward middle chapter of the series. It’s essentially an entire issue dedicated to moving the team from one city to the next, while Sabretooth gets another beating from Holocaust. Since Wild Child already gives the X-Men the information they need by page eight, it’s hard not to notice the padding in the rest of the issue. (Considering that the opening eight pages average less than four panels each, it’s hard not to notice the padding there, either). Sunfire and Morph have a few character moments together that aren’t bad, and Morph gets to use his powers creatively towards the end when the team sneaks into the plant, but that’s not enough material to fill up over half of the issue. The story is filled with giant panels and splash pages, which I suspect were used to show off Madureria’s impressive art, but mainly serve to slow the story down to a crawl. There’s one two-panel page that solely consists of Holocaust bragging that his Infinite soldiers will create “death and destruction” that Apocalypse never dreamed of. 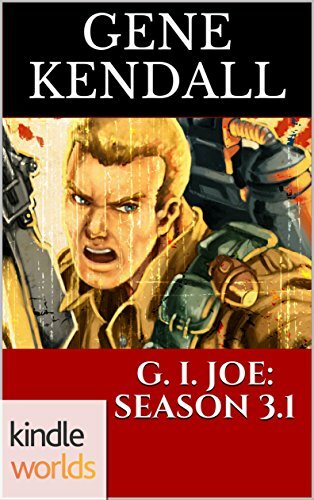 It comes after a multiple-page sequence of Holocaust bragging about his Infinite soldiers, which already included a splash page devoted to the Infinite processing plant. Why waste another page on this? If Holocaust’s dialogue is supposed to imply that he’s willing to betray Apocalypse, that is an important plot point, but the small amount of dialogue used to convey it doesn’t deserve an entire page. 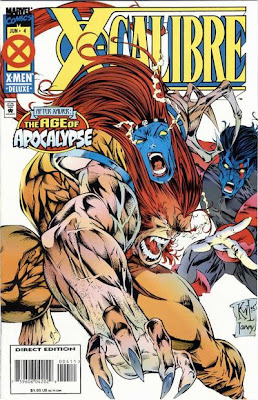 When I first read this issue at fourteen, I was disappointed that it ended the same way the previous one did – with another page hinting that Holocaust possibly killed Sabretooth. That page really calls attention to how little the story’s advanced, and it’s probably the first time I noticed story padding when I was young. Little did I know what awaited the comic book industry.